From no character, to a bread box with personality! 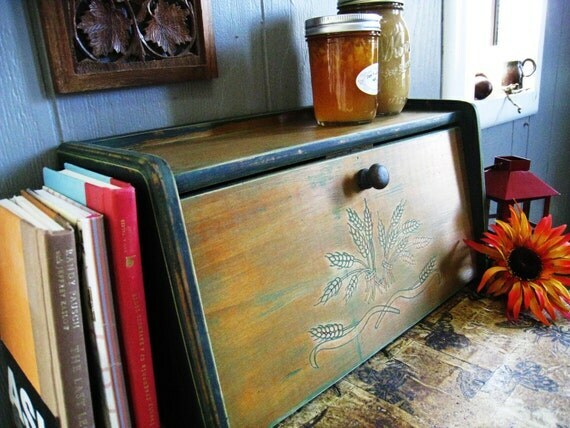 We took this solid little box that had been abandoned and added a touch of paint here, some antiquing there and some overall sanding to bring out the imprinted sheafs of grain and give it a well loved look. It measures 16" long x 8 1/2" tall x 7 1/2" deep. Folksy :: Buy "Wooden Trinket Box"